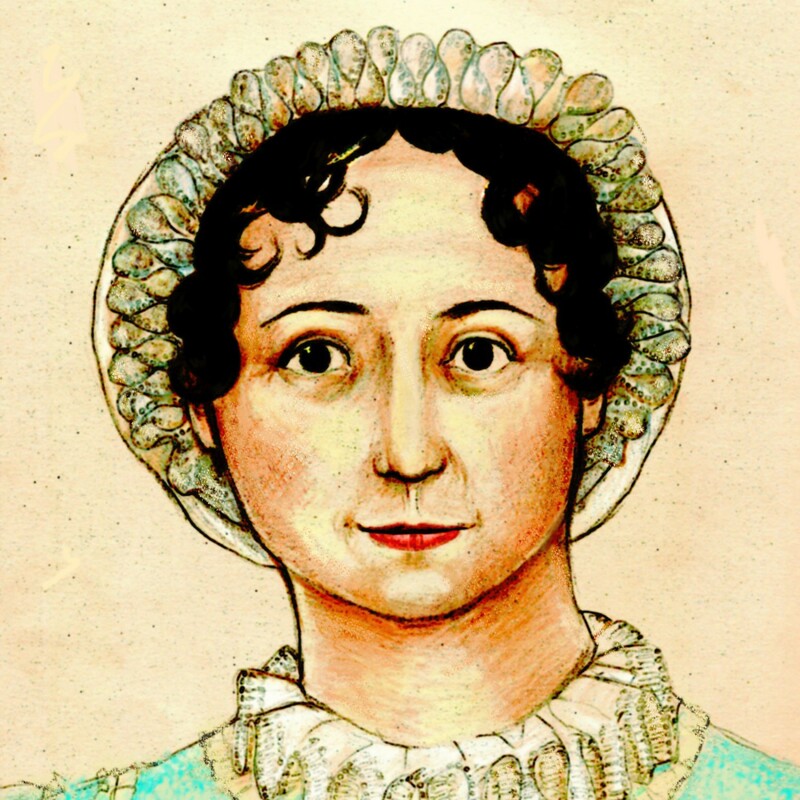 If Austen paraliterature–sequels, prequels, retellings, embellishments, modernizations–has become a genre of its own, then retellings of Pride and Prejudice from the point of view of the hero has become a genre within a genre. There are at least a dozen of these retellings, some quite enjoyable and some, frankly, quite bewildering. We are not a purist, if by “purist” one means a Janeite unable to bring herself to read alternate takes on Austen’s novels, but we are a canonist. We like the novels that Jane Austen wrote, and when we choose to read paraliterature, we like it to show that the author has paid close attention to the original and understands it. Every detail doesn’t have to be perfect–and we all have our own take on what happens off-canvas in the original–but we consider these novels successful if we find the characters recognizable as those created by Jane Austen. 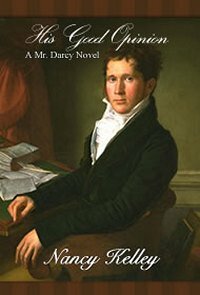 In His Good Opinion, Nancy Kelley has written an enjoyable version of Mr. Darcy’s story that we found recognizable and believable. Close attention was paid to the original, of course, but as is usual in these sort of books, the action picks up a bit as it moves off the grid of the original novel. We are privy to Darcy’s thoughts, which are a great deal less snobbish than we expected. (Indeed, as the Editrix is not exactly Team Darcy–more like Team Chastened Darcy Auxiliary–we would rather like to read a book in which Darcy fully embraces his inner Sir Walter Elliot, but we recognize such a book would hardly be popular.) His warning Bingley off Jane Bennet is clearly an act of friendship rather than snobbery, and his brotherly concern for Georgiana is truly touching. By the time we arrive at Rosings Park, we are quite sympathetic to Darcy’s frustration at Elizabeth and Colonel Fitzwilliam tag-teaming him at the pianoforte. Fortunately, we are not only subjected to a running commentary on Darcy’s angst and yearnings over Elizabeth; we especially liked the subplot involving Colonel Fitzwilliam and those oh-so-secret expeditions he is making for the Crown, arriving at Darcy’s townhouse all wounded and interesting. More of this, please! Darcy is presented upfront as a good master, a presentation that is important to Pride and Prejudice and to Darcy’s character, and as a loving brother, which is also important. He’s very human; and yet he is proud; he cannot stand to have Georgiana married to his father’s steward’s son. This is all as it should be, and Ms. Kelley handles it all deftly and in keeping with our persnickety expectations. The last chapter even had your tar-hearted uptight spinster purist &c. Editrix swooning, just a little. In this bicentennial year, many Janeites simply can’t get enough Pride and Prejudice and we think His Good Opinion is an entirely enjoyable way of mainlining a megadose of pure Darcy goodness. The author provided a copy of the ebook for review. I’m currently rereading Pamela Aiden’s “Darcy” trilogy, and I had just been thinking this is exactly what she does in the first two books. Except when he is swooning over Elizabeth, Darcy’s inner thoughts are almost entirely unlikeable.